Years ago, when I first learned of Impostor Syndrome, I knew I too had (gulp!) experienced the lockjaw impact of its unrelenting grip. Yes, Impostor Syndrome is real. And yes, you are imminently capable of the Success you imagine for yourself …and yes, you deserve to own the SUCCESS YOU HAVE ALREADY ACCOMPLISHED! Owning Your Success… With Confidence! I am writing this post to introduce you to what has become one of my favorites among many great business-and-life-influencing books I’ve read: *THE SECRET THOUGHTS OF SUCCESSFUL WOMEN: Why Capable People Suffer From The Impostor Syndrome And How To Thrive In Spite Of It. * by Valerie Young, Ed.D. First things first: Impostor Syndrome is NOT a Women-only derailer. It’s an equal opportunity success crusher for Men and Women – a potentially devastating confidence destroyer – knowing no bounds related to stage of work or life. In fact, I’m realizing now the concepts and realities of Impostor Syndrome may in fact be a subliminal driver behind everything I’ve created in my own business since 1993, including THE BOLD! FACTOR® CONFIDENCE and in work I’ll continue to create in this now-and-next stage of my business – inspiring, encouraging, championing and guiding inspired people like you to Own Your Success… With Confidence! The heart and soul of The BOLD! Factor all along. BOLD Truth: You can create phenomenal success when you own your success. In her book, Young (who refers to herself as a recovering impostor and invites you to Join The Club!) notes the co-discoverers of Impostor Syndrome, Pauline Clance and Suzanne Imes, identified four coping and protecting mechanisms: diligence and hard work, holding back, charm, and procrastination. In her work, Valerie has observed three more: maintaining a low or ever-changing profile, never finishing, and self-sabotage. Any of those ring true for you? A few sure do for me. My work is and will continue to be better for this discovery. I hope the same for you, too. Last night I picked up the phone and called author, now friend, Valerie Young. It was a wonderful call, as she referred to it: “meeting a kindred spirit!” Valerie had some good advice for me on how to tackle writing my book, and what worked for her. We agreed it’s the hardest work either of us have done. We talked about where we’re at and our visions of what’s next. A few more expressions – this time from accomplished people tossing their success to the wind – with powerful feelings of impostor-induced self-doubt. Sound familiar? If you know someone who might benefit from knowing about Valerie Young’s book, I hope you will share this post with them. It’s the reason I paused my own book writing this morning, to spread the word – with, for, and through you – on how you can create massive Success & Happiness when you learn to release the grip of Impostor Syndrome… by owning your success with confidence. Your Success is NOT about Luck. YOU earned it! Own Your Success… With Confidence. 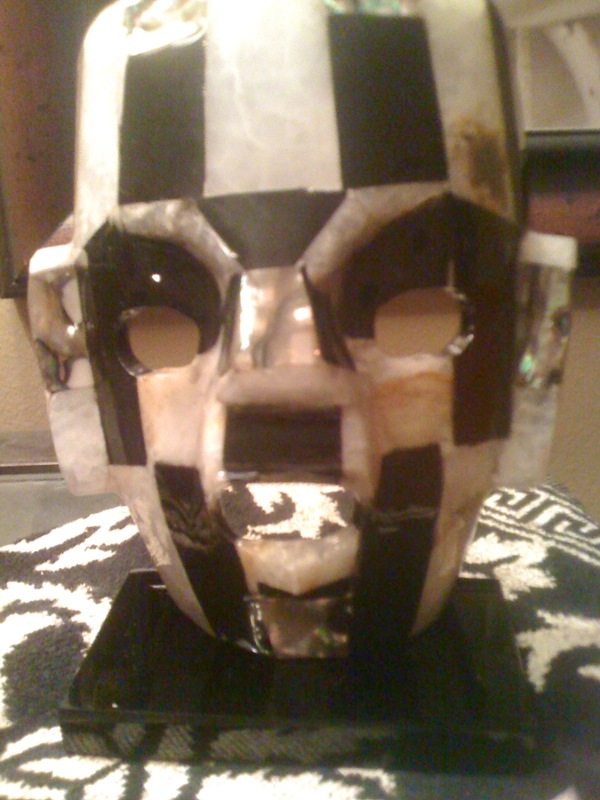 Photos: MASK: David and I found this glass mask during the fun week of our daughter Natalie’s and Dan’s wedding in Playa Del Carmen. And once we pick up a fabulous leather mask like one we found in Italy, we’ll have started a new collection. Masks – as art – can be fascinating! 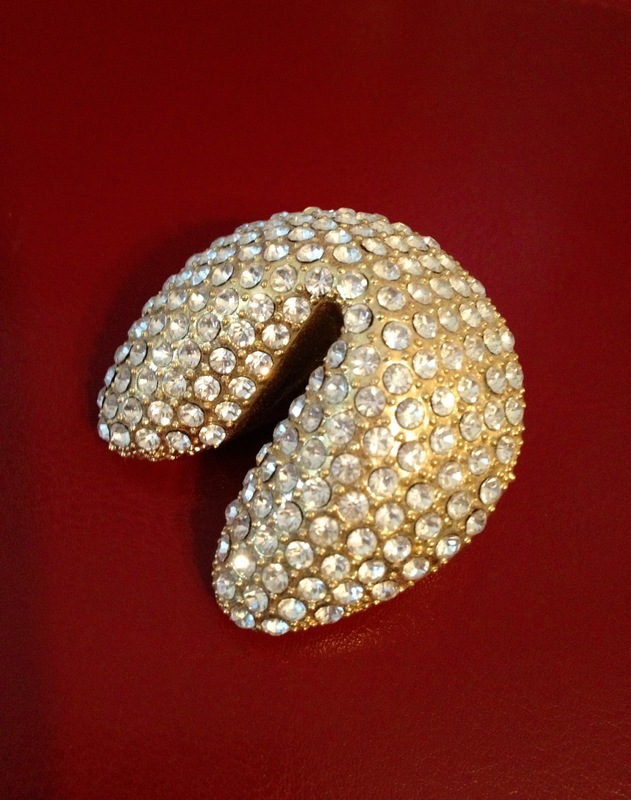 RAZZLE DAZZLE FORTUNE COOKIE: A favorite blingy gift I’m inspired by everyday, sharing it with you here as a reminder that your Success is not about Luck. Own Your Success With Confidence.™ YOU earned it! This entry was posted in BEST BOLD U, BOLDometer, Confidence, Courage, Courage Is More Fun Than Fear, Empowerment, Excellence Is Contagious! So Is Mediocrity., Friend Your Fear, Impostor Syndrome, Own It With Confidence!, Ownership, Risk Taking, Self-Confidence, Self-Doubt & Self-Sabotage...Ouch!, Self-Leadership: It's Up To You!, Success, Success: First Articulate Then Replicate, The BOLD! Factor, Trust Yourself. You Know What To Do., You Are Amazing Just The Way You Are by ANN ULRICH @DO1BOLDTHING. Bookmark the permalink. I have grown, as we all do. My voice has changed, as happens with growth. Some things I used to care about – passionately – I no longer give a rat’s asterisk about (I believe credit for the rat’s asterisk term goes to our friends over at Capsule Design ;) I found my outline included much of what I no longer cared about. Even my method of sharing it no longer worked for me. I wondered WHY I was writing a book I didn’t even want to write. In fact, from January thru April of this year, I wrote *that* book. I had the outline inside me for years – had written it down also – yet knew it so well I didn’t even need to look at it. In one day I sat down and penned 52 3×5 cards as my book’s chapters/topics. I was THRILLED to have nailed this forever-in-me plan, on target and on time. 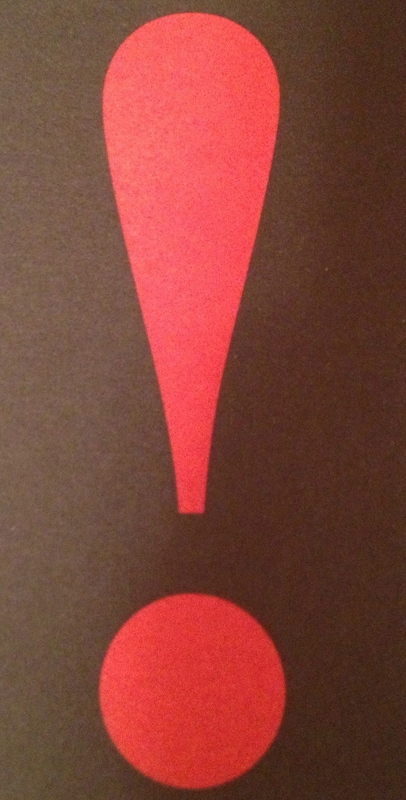 ((In fact, I posted a picture on Twitter celebrating those 52… it’s still there in my Twitter pic feed.)) Each one to be played out beautifully with a strategy statement, a story, and a call to action. Cool book, eh? …. I grabbed my laptop and set up a Skype call with the person I hoped to hire as my editor. NOW it was real. NOW I would finally have my BOLD book to share with whoever wanted it. And THIS is when the possibility of Impostor Syndrome holding me back came to mind. I researched it again, especially the aspect of not finishing – reviewed my own thoughts and experiences and realized – Nope – I’ve learned how to recognize and manage fear and other aspects of Impostor Syndrome so they no longer hold me back… so what could this possibly be? It’s a Simple answer: I was writing a book I no longer wanted to write. And for me, that’s all that mattered. And THE big Aha that freed me to move forward? I was not writing this book for everyone. I’m at a stage of business and life where I know the most important voice to follow is my own. CONFIDENCE TO OWN YOUR SUCCESS is what The BOLD! Factor is all about. And the gift I’ll realize when this book is finally in hand, is I owned it like I own it… walking my talk and calling BS on myself when I know something’s off. So fast forward to TODAY… I LOVE today! I knew I just needed to get quiet and listen. I am super excited with the BOLD book I’m writing. It’s not anything like my original plan. It’s simple straight talk, tight, powerful messages, phrases and words…. championing, encouraging, inspiring and challenging… the BOLD! Factor in you. When I speak, people have asked to have a book of what I’ve spoken on… and that was that first book I was writing. Now, instead they’ll be able to read chunks of BOLD – all at once or in doses as desired or needed – that I hope inspire their own best thinking… and as a result, their own new inspired action. I just realized maybe I should let my editor know I’ve changed directions. I guess that’s the beauty of Self-Publishing. It’s your book. Write that book. If any of this helps in the process of that book YOU will write one day Lisa, I’ll smile when I get the word, and I will be first in line for your autograph.